The 2 room Apartments are also new, completely renovated vacation homes with all amenities, including digital cable TV, air-conditioning and of course a wireless internet connection. 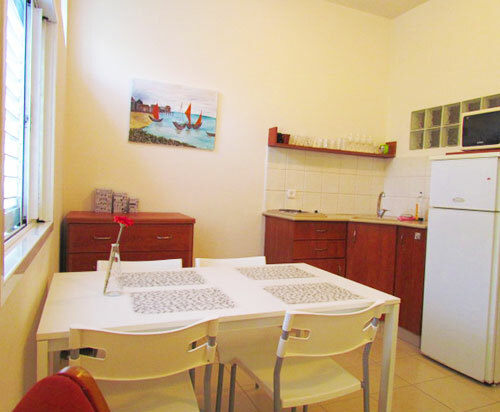 Our 2 room holiday apartments have kitchenettes with complete cooking facilities, a refrigerator, electric range, microwave and all kitchen utensils, as well as an electric kettle. Fresh, clean and comfortable bedding, linen and towels are naturally provided. 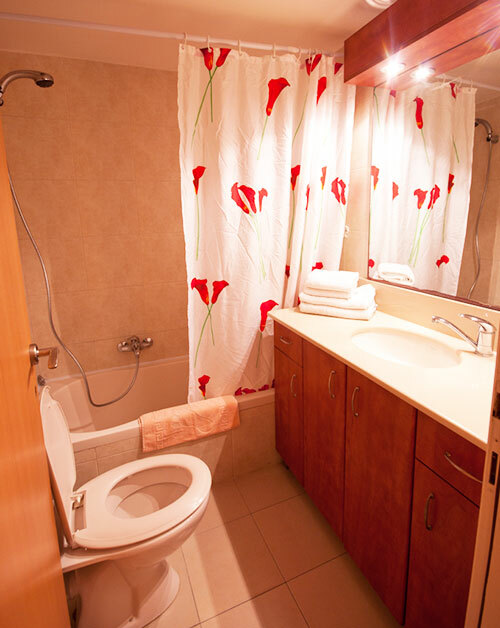 The tastefully tiled bathrooms do either have a stall shower or a bathtub shower. 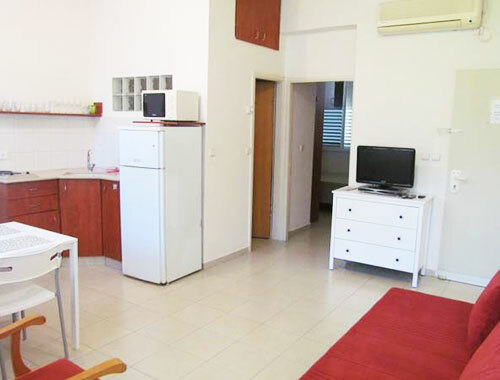 And not to forget the beautiful vacation apartments are right near the Tel Aviv beach! The apartments are priced according to seasonal rates. We offer discounts for long term stay. Rental prices are in US Dollars or Euro. Prices include all charges except for electricity. All apartments may be viewed prior to rental. We require 30% of the total charge as deposit in order to secure your reservation. 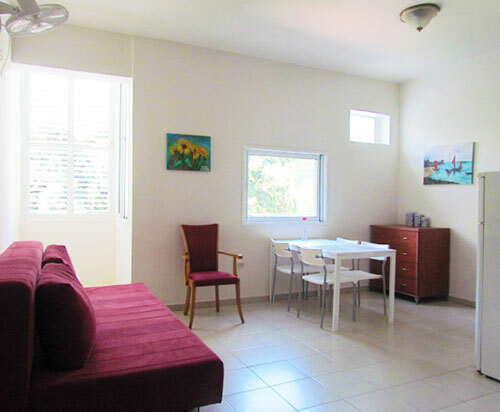 Below are some pictures of our 2 room apartments.